You can modify vesting schedules that have been applied to option grants and stock certificates. You will be able to choose one of the vesting schedules from your library by clicking on the drop-down for "Schedule" or you can create a custom schedule, shown here. You can also modify the vesting start date, early exercisability, or you can include acceleration language. 2. 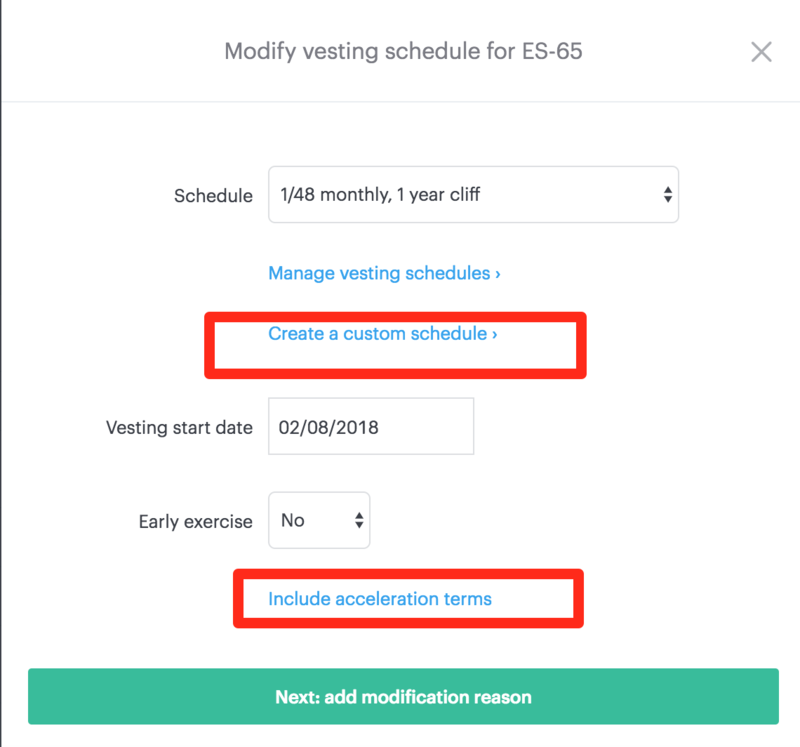 To modify the vesting start-date of a custom schedule, you will need to modify each tranche's vesting date from the 'Create a custom schedule' builder. 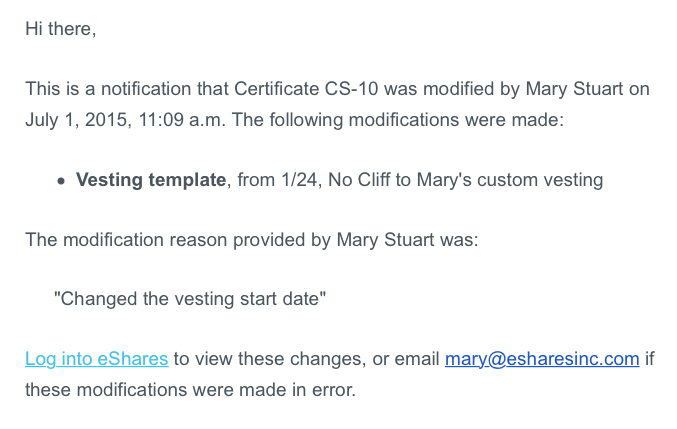 After saving the vesting schedule modifications, an email will be sent to the officer and security holder if the security has been signed and accepted by all parties. If the security has been signed by the officer and not accepted by the holder, then only the officer will receive the email notification. If the security has not been signed by the officer, then no email will be sent out.